Our website might not show-up properly on your device at present. Our webmaster is working day and night to make all our 145+ pages compatible for your device. DURBAN - UMHLANGA ROCKS "Gallery"
"Specialist Yamaha Vmax Parts & Accessories"
"For Tiger Fishing on Lake Jozini Swaziland"
"Motorcycle Screens - Headlight Protectors - Fiberglass Fabrication"
Please feel free to have a look around at our Products. Also have a look at the Gallery on our own website where we have some amazing examples of our workmanship. We design exhausts to your specifications while improving overall performance. Powerflow Motorcycle Products in Jacobs, Durban, has undergone a change in ownership and absorbed the popular Neville’s Exhausts in the process. 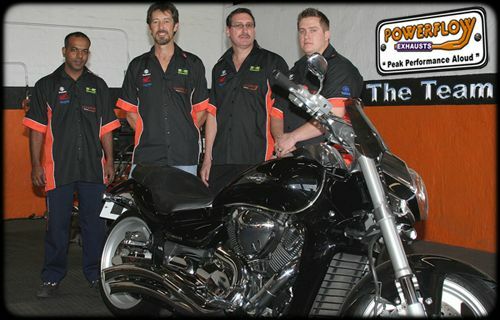 Previously owned by Brett Clark, the operation situated at 252 Bluff Road is the only Powerflow shop in the country focused exclusively on motorcycle products. Well-known Durban motorcyclist Des Mienie and senior partner Rob Fryer, both well-established Durban businessmen, head up the operation, while Krish Naicker brings his twenty years of experience at the old Powerflow into the partnership, and manages the production and fitment side of the business. The fourth partner, Rob’s son Darren, moves between the motorcycle centre and the Powerflow automotive exhaust centre he manages for his dad in central Durban. 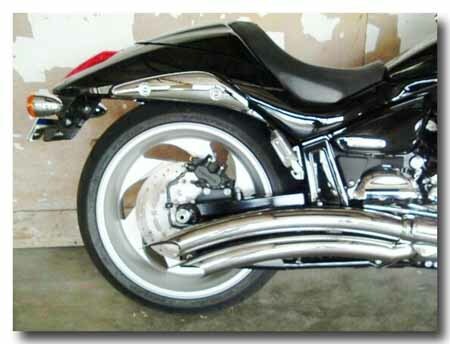 Powerflow prides itself on the fact that its quality exhausts add performance, reduce weight, improve sound and cost significantly less that just about every comparable motorcycle exhaust system. “We hold jigs for around 350 individual makes and models of motorcycle, dating back to the ‘60’s,” says Des. Products can be delivered to all major and many smaller centres. 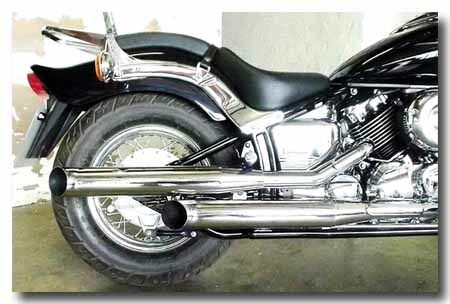 As POWERFLOW has the basic Jig for the Vmax 1200 they can manufacture any kind of exhaust pipe to suite your taste and preferences….. either from your own drawing or picture. In respect of the 2nd Gen Vmax…… you have to take it to their workshop as….. at this stage…… they haven’t had the opportunity in making a Jig. "You obtained this INFO from our Vmax SITE"
Copyright © 2005. Awol. All rights reserved. V Max World. Vmax Owners Group. Vmax Club. V Max World. V Max Gallery. V Max Odyssey Rally. V Max road tests. V Max Opinions. V Max Technical Tips. V Max Prototype. 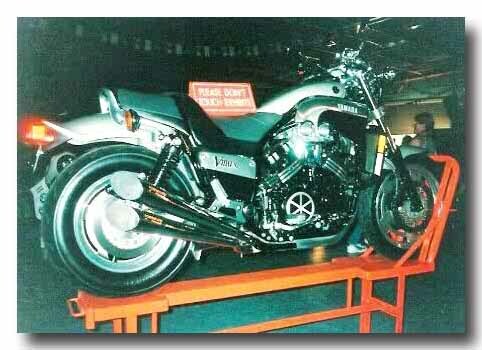 Yamaha Vmax Motorcycle. 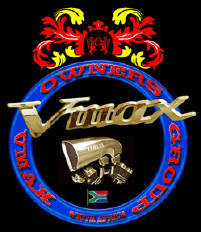 The "Vmax Owners Group South Africa" . Motorbikes. Motorcycles. Technical tips. Tyres. Petrol. Carburetors . Power Cruisers. Harley Davidson. Battery. Sparkplugs. V4 engines. Hotrod motorcycles. New Vmax. 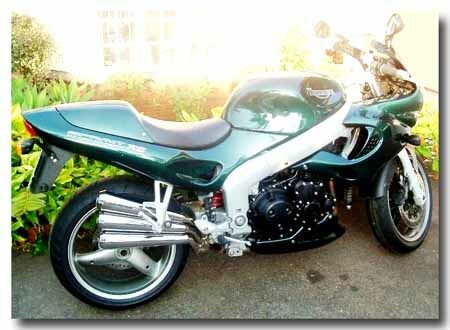 2009 Vmax.